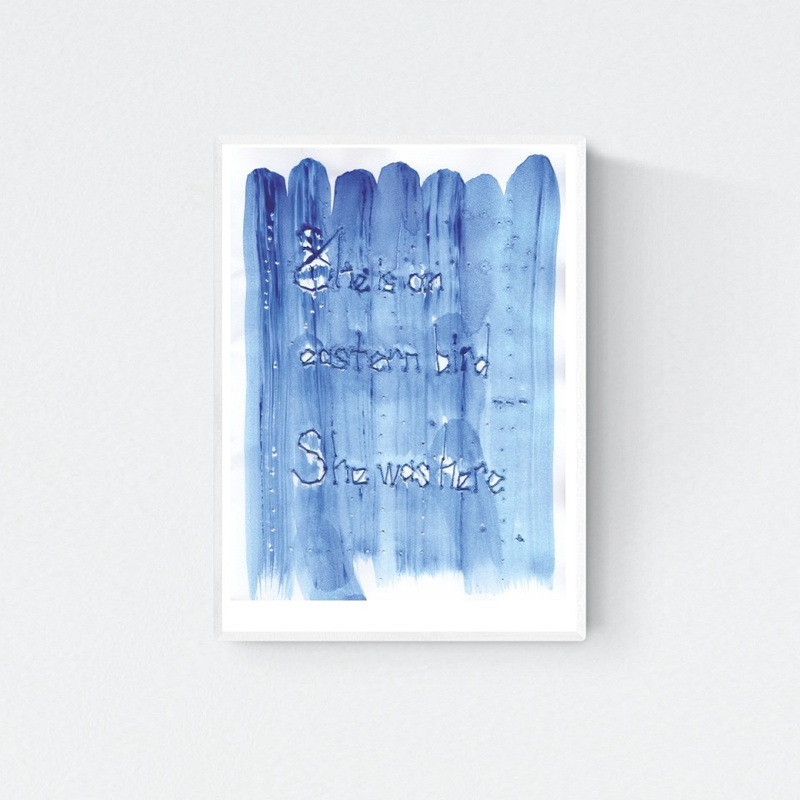 The print “She is an Eastern Bird 2” is a digital replica of the artwork designed and made by Şeyda Özçetin, the art director of Hamide Design Studio, for Jonas Julekort 2014 exhibition. 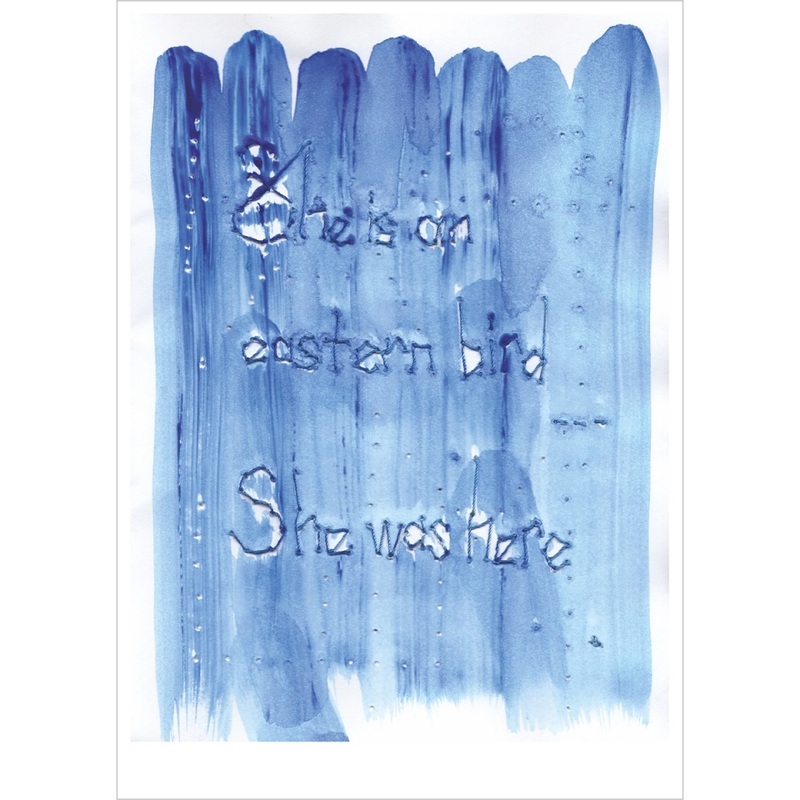 The text “she is an eastern bird – she was here” is hand-stitched on paper painted in blue with watercolor. “She is an eastern bird” collection was designed for our honorary founder, mother and main inspiration Hamide Yanç Özçetin’s birthday and also for the 1st anniversary of her passing away. We call this period, stretching from 20th of February til the 4th of March, Hamide Days. So, in other words it was designed for Hamide Days. We see our mother as a graceful, humble, wise, patient and quiet bird, spreading light and love, coming from the east. She was so pure! She used to call us as nightbirds since we were up all night doing things. So this collection takes its essence from all these. Dedicated to her and all the other birds!